From the press release: Forward Hedo Turkoglu, who played 15 seasons in the NBA and eight with the Orlando Magic, has announced his retirement today. Turkoglu will be honored and recognized by the Magic during a special ceremony on Friday, December 18, when Orlando hosts Portland at Amway Center (7 p.m. start). Turkoglu played in 497 regular season games (412 starts) with Orlando from 2004-09 and 2010-13, averaging 14.5 ppg., 4.5 rpg. and 3.9 apg. in 32.7 minpg., while shooting .379 (794-2,005) from three-point range and .805 (1,402-1,741) from the free throw line. He also appeared and started in 49 playoff games with the Magic, averaging 14.4 ppg., 4.5 rpg. and 4.5 apg. in 38.0 minpg. 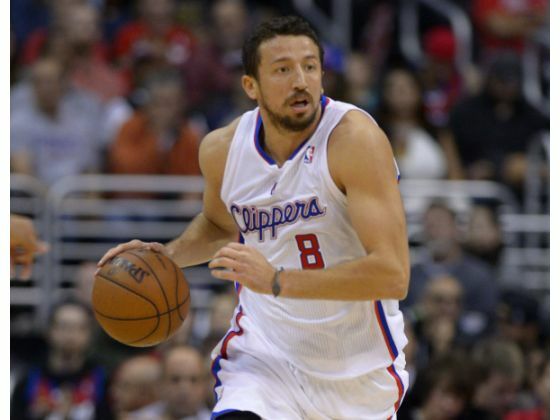 […] Turkoglu earned the NBA’s Most Improved Player Award in 2007-08 and helped Orlando reach the 2009 NBA Finals. He ranks on the Magic’s all-time list in nearly every statistical category, including minutes played (fourth, 16,233), three-point field goals made (fourth, 794), points scored (sixth, 7,216), games played (sixth, 497), free throws made (sixth, 1,402), rebounds (2,221) and assists (sixth, 1,927).